- The Northern European front, or the front of US and NATO against Russia in the Baltics. - The Central and South European fronts – Poland, Rumania, Bulgaria and the Black Sea. - Syrian, i.e. the war of Russia, Syria and Iran against, the USA, Israel and Saudi Arabia. - The Caucasus, or the clash between the US and Russia in Georgia, and now in Armenia. - Afghanistan – by escalation of the war in this country and renewed participation of the Taliban forces. 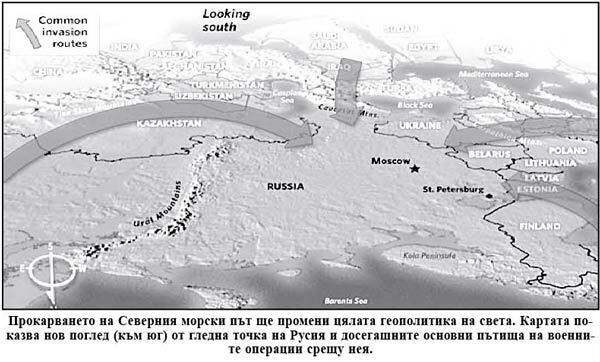 - Central Asian, - with the US trying to destabilize Kazakhstan, Uzbekistan and Tajikistan. - The Korean – with the new hybrid attack of US and Israel against PDRK. - The Chinese – with escalation of the situation in South China Sea and around Taiwan. - Central American–with the subversive US war against Venezuela and Cuba. - and at the end- these days returned in the Baltics and Ukraine. These are the major fronts of the WW III. In fact, those fronts ,and the countries leading on them direct or indirect combat, are twice as numerous as in World War II. And only fools can not notice that the Third World War is going on long ago, and now the war is in its hot phase, which has just transformed a few days ago into a nuclear, with several Israeli attacks on Syria and before that in Yemen. I am following the fronts of the new war since the events of September 11, 2001 in New York, and earlier – the NATO war against Yugoslavia, which was the new Sarajevo, and September 11 was the Reichstag fire and the attack of Hitler against Gliwice. Ever since the war spirals around the world more and more fast. The situation is catastrophic. It is for the first time, when the so-called "world establishment" (elite, plutocracy, kleptocracy, New World Order) faces such a crisis that their very existence is in question. Such crisis has not been seen so far in the history of capitalism. This is the essence, everything else is secondary. The last time the "elite" met with something similar, though on a much smaller scale, the Second World War broke out. Now the scope is much bigger. Since the beginning of the 21st century, the world has been squeezed in the vise of the Third World War, at the epicenter of the hurricane of the global economic and financial crisis. They are interrelated and mutually defining. It is clear that the crisis will continue until the system itself disappears. They call that system liberal capitalism, but it is nothing but the familiar Anglo-Saxon-Zionist project that has been completely exhausted. So far, the death of old system and the birth of new have always been accompanied by chaos and wars. Now we are in the chaos of the new war. This is the big board on which chess pieces have been gone and replaced by military cards and the shots are fired in all directions. The global geopolitical operation of Anglo-Saxon Zionism to encircle Russia with an arc of hostile EU and NATO member states culminated in the installation of a Russo-phobic regime in Kiev, whose task is to launch a war against Moscow. The NATO base that the US was determined to build in Crimea, would have allowed the Pentagon to control not only the Black sea but to hold at gunpoint by cruise missiles the complete European territory of Russia up to the Urals and to stop all oil and gas pipelines from Russia to Europe. Moscow, however, was aware of the goals of that operation and took back Crimea. Then the US decided to play "all-in" and began a rapid move of NATO to the borders of Russia and conquer Ukraine itself. But the counterattack of Moscow in Donbass was immediate. With the provocation with the downed Boeing over Ukraine, the United States and Israel tried to regain the initiative. They have imposed on the EU the Third Energy Package, which obliges member states to "diversify gas supplies", but in fact to buy it on higher price from US, not from Russia. They spoiled South Stream project, using the Bulgarian ruling gang. Russia reacted and redirected the southern pipe as "Turkish Stream". Meanwhile, the English gas project, from Qatar to Europe, over which the United States and Israel began the war against Assad, was stopped by the Iran-Iraq-Syria counter-project. Now the situation with North Stream – 2 is quite similar. Its possible failure is the only chance for the US to enter the European gas market and to defeat the emerging economic and energy axis Berlin-Moscow-Beijing. However, this is a nightmare for the United States, England and Israel. The game for them ends. The realization of North Stream - 2, which is vital for Germany, will radically change the entire geopolitical situation in the world for decades. That is why the United States is counteracting by activation of the Ukrainian front and their leave from the nuclear deal 5 + 1 on Iran. But the EU's dissatisfaction with the United States also goes into action. On a legislative level, Berlin has blocked US attempts to extend sanctions against Iran and in fact allowed European companies to continue to do business with Tehran. Of course, things are much more complicated, as the EU retains the sanctions against Russia. It is clear that the United States are maneuvering to withdraw from the Iranian nuclear deal, but with Germany and France remaining in, to bring pressure upon Iran to not build nuclear weapons. That's why Tehran wants guarantees to stay in 5 + 1. Merkel, in turn, has confirmed in Sochi the construction of North Stream - 2, but wanted Moscow not to stop gas transit through Ukraine. Putin replied with "it is possible," but if it is "economically viable". This term was introduced because of such cases. The Ukrainian and Syrian front act as interconnected vessels, i.e. the United States, Israel and Kiev act in a coordinated manner. That is why in June-July, it is expected that the situation in the Donbass will escalate, which has already begun at the end of May. 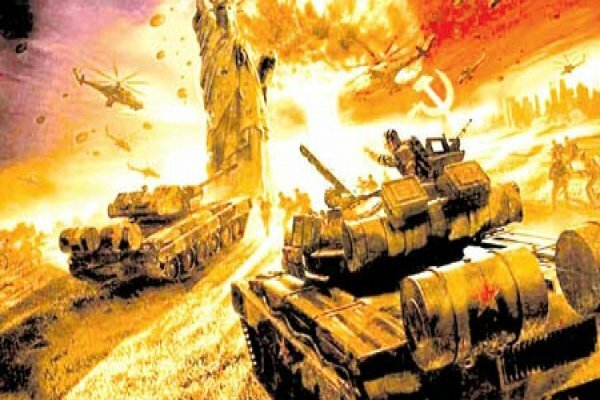 It is assumed that Kiev in early June will try to start a war against Donbass and force the Kremlin to choose - betrayal of the people's republics, or an intervention and collapse of the World Football Championship in Russia. Moscow has already counterattacked and outrun them with the opening of the Crimean Bridge. The World Cup must start on June 14. In June 3-15, NATO will carry out large-scale military exercises on the borders with Russia, Baltic States, Poland, and the Baltic Sea. From June, 3-15, international military maneuvers will take place in Lithuania, Poland, Estonia and Latvia, involving 18,000 troops from 19 NATO countries and partners from the Pact. 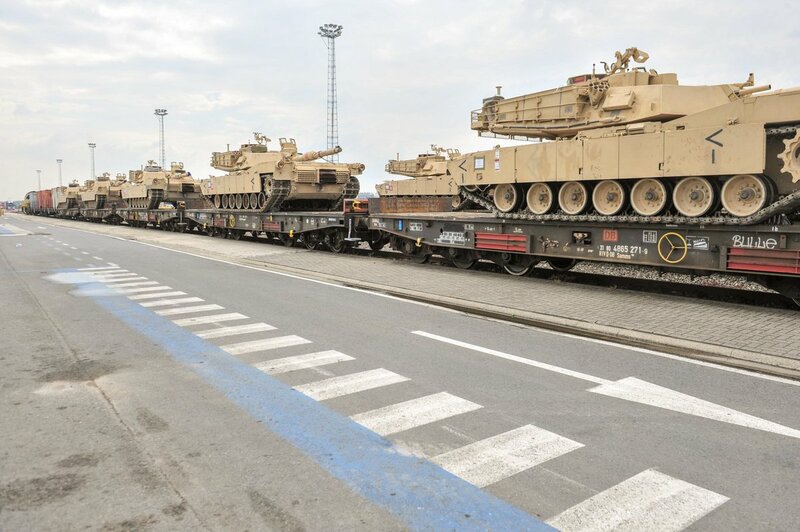 For these exercises, the United States will send around 1100 units of military equipment from Germany to Latvia, via the Czech Republic, Poland and Lithuania. The equipment will arrive via the so-called Suwalki Gap (or corridor) between Lithuania and Poland, 100 km in width, which borders on the west with the Kaliningrad region and on the east with Belarus. According to Ukrainian military experts, the Army of Ukraine will need "a week" to break the armies of the Donbass. In any case, the military leadership of Russia stated, "the moral and psychological readiness of soldiers to carry out their tasks is high". To make matters even more complicated, on May 9, the US President Trump signed a Decree 447 on "Compensating Holocaust Victims with the Value of their Lost Property in Poland," i.e. Poles will have to pay Jews about $ 300 billion. Whether this is a pressure by the Zionist lobby of the United States and Israel on Poland because of the upcoming military events, will soon become clear. The Third World War continues in the context of the systemic crisis of the West and capitalism. Hopes are getting less. The solution is only by force.